Jennifer Oeser of Germany competes during the long jump event of the heptathlon at the IAAF World Championships in Daegu, South Korea. 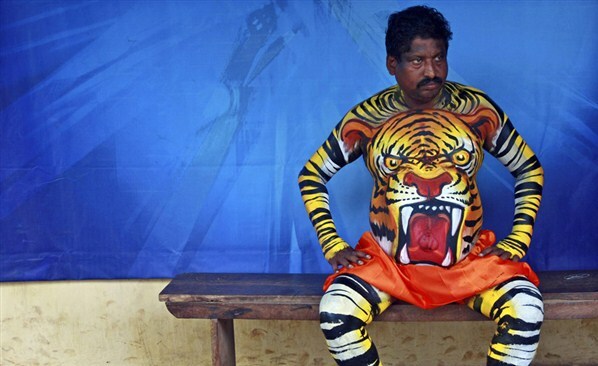 A dancer in body paint waits for his performance during festivities marking the start of the annual harvest festival of Onam in the southern Indian city of Kochi. The ten-day-long festival is celebrated annually in India's southern coastal state of Kerala to symbolise the return of King Mahabali to meet his beloved subjects. 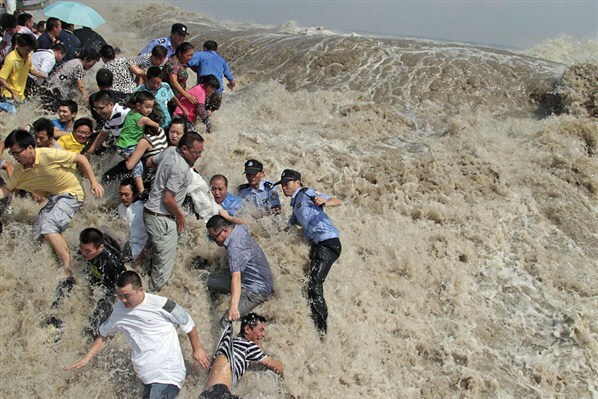 Policemen and residents run as waves from a tidal bore surge past a barrier on the banks of Qiantang River in , HainingZhejiang province, China. As Typhoon Nanmadol approached eastern China, the tides and waves in Qiantang River recorded its highest level in 10 years, local media reported. 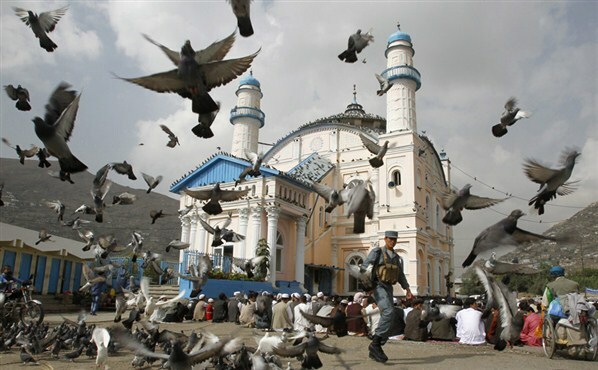 Pigeons fly as a policeman guards residents praying outside the Shah-e Doh Shamshira mosque during the first day of the Muslim holiday of Eid-al-Fitr in Kabul, Afghanistan. Eid-al-Fitr marks the end of Ramadan, the holiest month on the Islamic calendar. 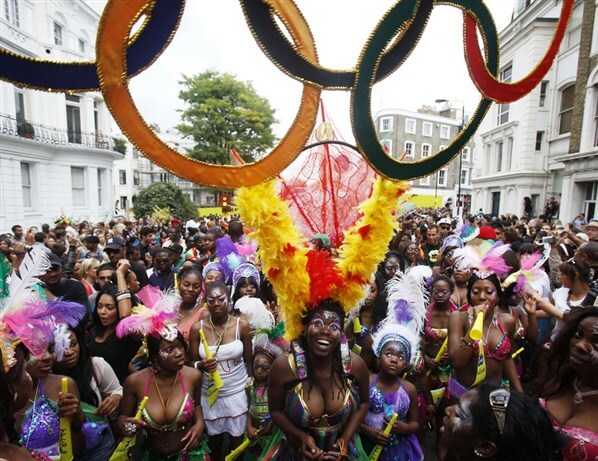 Performers dance in the street parade at the annual Notting Hill Carnival in central London. Revellers flocked to west London on Monday for one of Europe's biggest street parties, with record numbers of police on duty to prevent a repetition of riots that shook the capital three weeks ago. 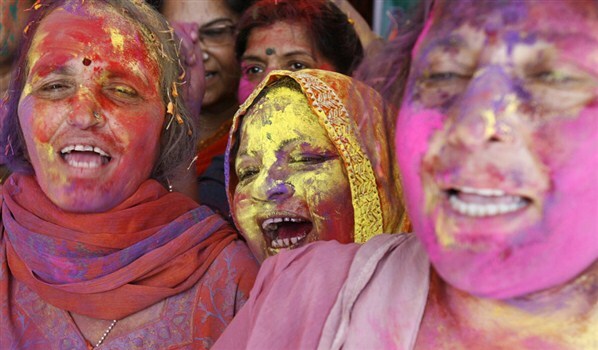 Supporters of veteran Indian social activist Anna Hazare, with their faces smeared in colours, shout pro-Hazare slogans during the celebrations after Hazare ended his fast in the northern Indian city of Chandigarh. Sipping coconut water and honey, a self-styled Gandhian anti-corruption reformer Hazare ended a hunger strike on its 13th day on Sunday, a protest that had sparked huge rallies across the country, exposed a weak government and ushered in a new middle-class political force. 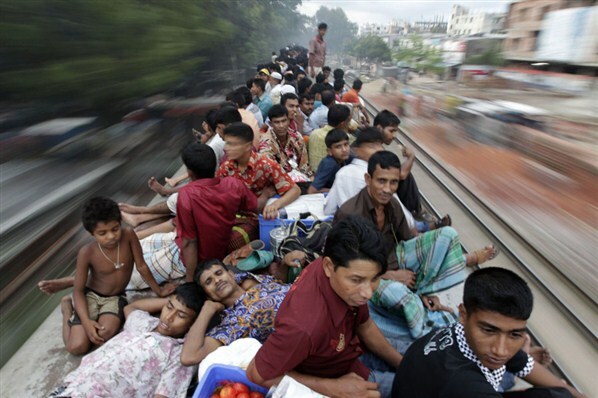 Passengers sit on top of an overcrowded train as it heads for Jamalpur from Dhaka. Millions of residents in Dhaka are travelling home from the capital city to celebrate the Eid al-Fitr holiday on Tuesday. Bangladesh will celebrate Eid al-Fitr on Wednesday. 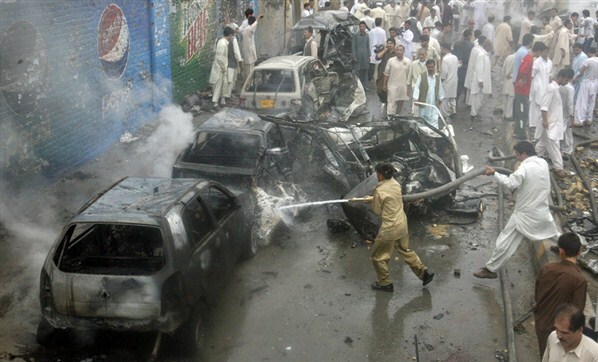 Firefighters spray water on damaged vehicles at the site of a car bomb blast in Quetta. A suspected suicide car bomb attack killed 10 people in Pakistan's southwestern Baluchistan province on Wednesday, police said, as the country celebrated the Muslim festival of Eid al-Fitr. 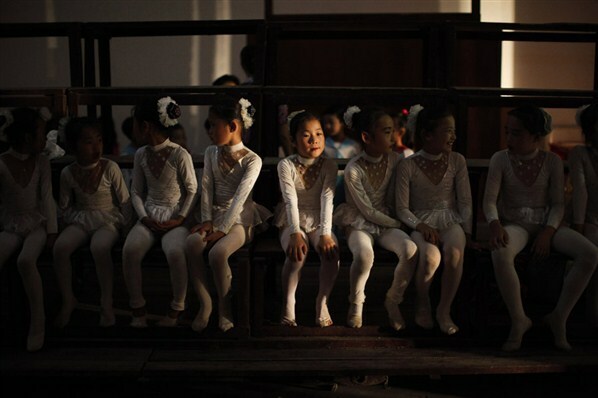 Girls sit backstage before their performance at a local school in Rason city, northeast of Pyongyang, North Korea. A participant waits back stage before the Gay Not Gray fashion show featuring senior gay men in Berlin. Mature gay men performed in the show with younger peers to illustrate that being gay and old can be fun and does not have to mean isolation, organisers said. The show was part of the the Aids Gala 2011. 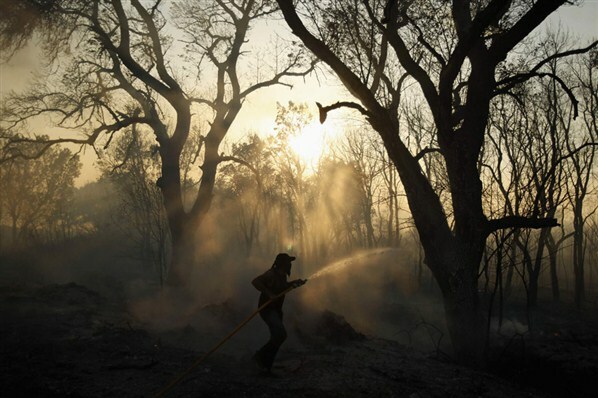 A farm worker attempts to extinguish a fire at the Arrabida Natural Park, near Setubal, Portugal. The cause of the fire is still under investigation, firefighters said. 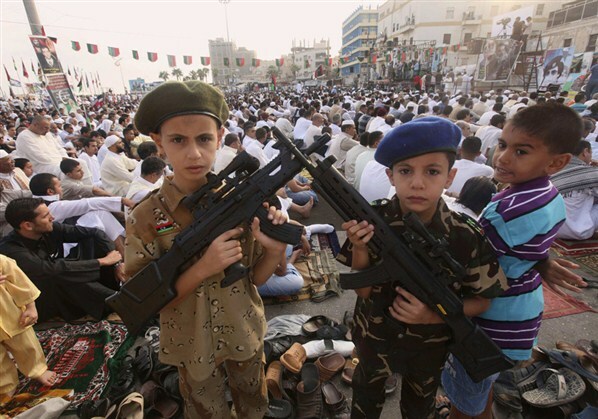 Libyan boys pose with toy guns as they gather during the first day of Eid al-Fitr near the courthouse in Benghazi, Libya. The Eid al-Fitr festival marks the end of the Muslim holy month of Ramadan. 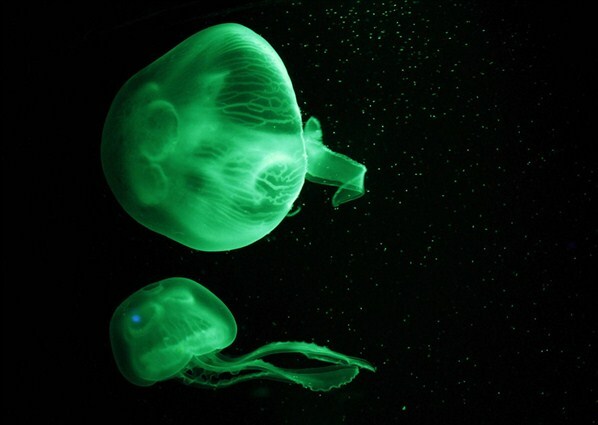 Mediterranean jellyfish (Aurelia Aurita) are illuminated by green lighting inside a tank in the Palma Aquarium on the Spanish island of Mallorca. 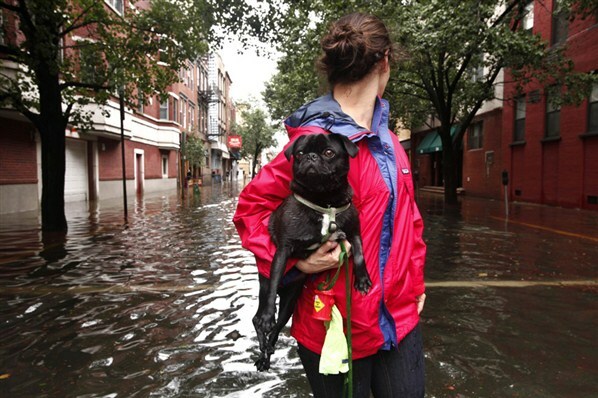 A woman carries her dog in a flooded street in Hoboken, New Jersey, United States. Hurricane Irene swept along the New Jersey shore early on Sunday, knocking down trees, leaving thousands of people without electrical power and causing flooding. Women walk in the ocean in Santa Monica, California. Temperatures were over 100 degrees Fahrenheit in parts of Los Angeles County. 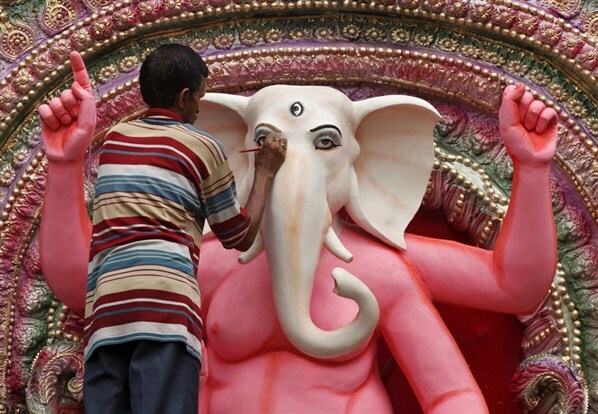 An artisan paints an idol of Hindu elephant god Ganesh, the deity of prosperity, at a workshop in Kolkata. Idols of Ganesh are made two to three months before the day of Ganesh Chaturthi, a popular religious festival in India. The idols are taken through the streets in a procession accompanied by dancing and singing, to be immersed in a river or the sea symbolizing a ritual see-off of his journey towards his abode in Kailash, while taking away with him the misfortunes of all mankind. 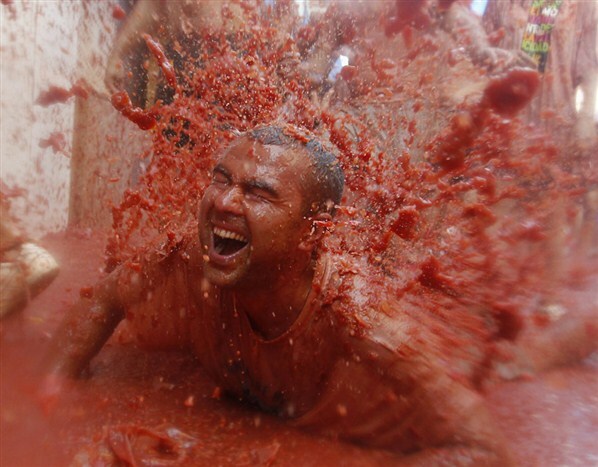 A reveller is covered with tomato pulp after the annual Tomatina (tomato fight) in the Mediterranean village of Bunol, near Valencia, Spain. The origin of the tomato fight is disputed - everyone in Bunol seems to have a favourite story - but most agree it started around 1940, in the early years of General Francisco Franco's dictatorship.